Merci aux géocacheurs qui m'ont alerté en publiant un DNF. "Aujourd’hui, la porte St Vincent est l'entrée principale de la ville"
Cette porte fut construite en 1708. - A droite, il symbolise le Duché de Bretagne. 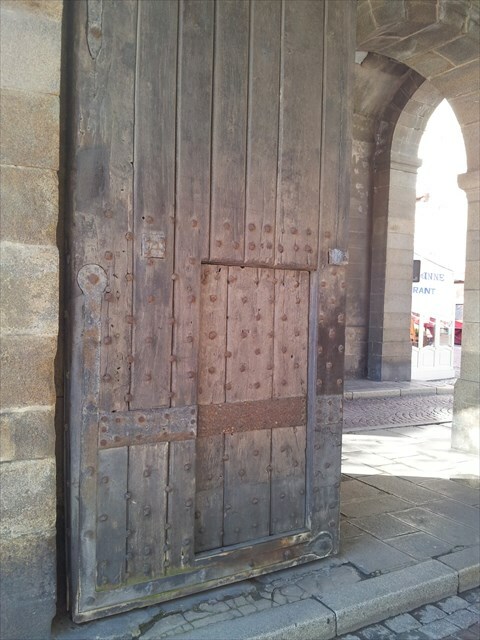 "Today, the door St Vincent is the main entrance of the city"
This gate was built in 1708. Two patches appear on the front door bearing the name of a deacon martyred in Spain in the 6th century. 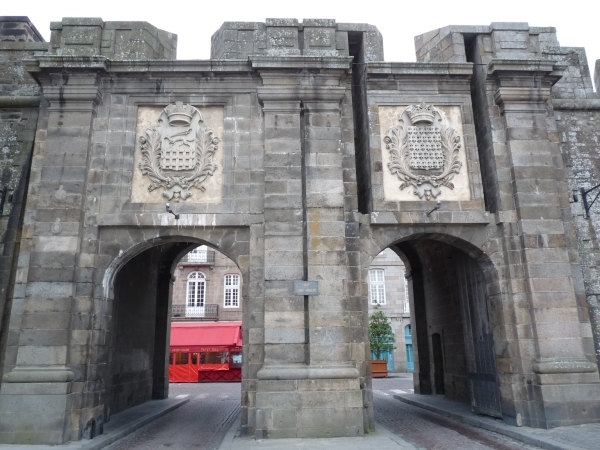 - On the left, the arms of the city (the portcullis surmounted by the ermine of the Dukes of Brittany). - Right, it symbolizes the Duchy of Brittany. Zntaégvdhr, qreevèer yn cbegr , gevobeq pnc iref yr cbeg. Zntargvp, oruvaq gur qbbe, fgneobneq urnqvat gbjneqf gur uneobe.